Last Sunday, Michelle and Paige asked me to post about my favorite restaurants in Dakar. That conversation led to this series, which is still growing as people send in their recommendations. Today’s recommendations actually come from Michelle, Paige and their roommates! If you’d be willing to participate by sharing your recommendations, please email me!. Thanks! Michelle: La Galette’s Eskimaux. Ice cream dipped in chocolate, yum. Favorite brunch: Eric Kayser is a team fav, but also Aux Fin Palais (next to N’ice Cream) has great pastries and coffee. La Graine d’Or (near gas station on N’Gor) is also a great bakery. (We love our pastries). Favorite old standby: German Institute (Point E). On the rooftop terrace, great panini’s and best latté within walking distance of our home. Favorite splurge: Café de Rome. Maybe a little cliché, but we haven’t tried much else and their fondant au chocolate is worth it every time. Favorite Little beach restaurant: On Ile de N’Gor, we can’t remember the name, but if you are on the big beach facing the mainland it is on the left (chez…) and serves great grilled fish. 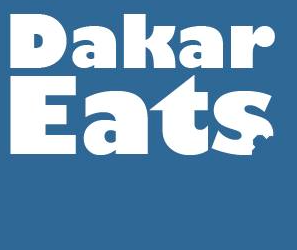 What is missing from Dakar’s food scene? Mexican, good salad/sandwich place, bagels, frozen yogurt.